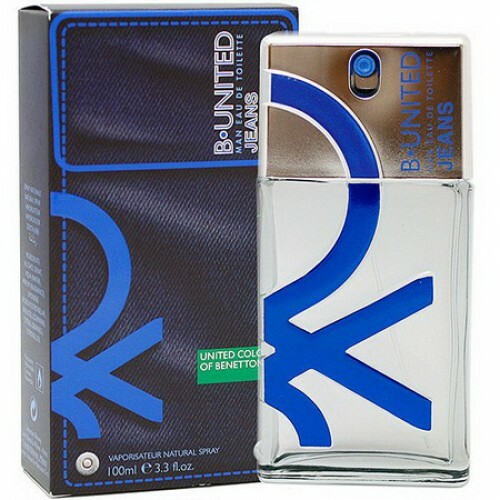 Benetton B-United Jeans for Men is a unisex fragrance for both men & women. Benetton B-United Jeans for Men 100ml. Eau De Toilette is a Floral Woody Musk fragrance for men. B. United Jeans Man was launched in 2007. Top notes are ivy, pink pepper and mandarin orange; middle notes are jasmine and lily-of-the-valley; base notes are sandalwood, amber, musk, vanilla and cedar. House Bonenet perfume was launched by the designer of the same name, and the first edition was released in 1987 called Cold Beneton a unisex fragrance for both men and women. The latest edition was released in 2012 Lets Move an aromatic-fougere fragrance for men which enjoyed great success. Beneton yet released a collection of 42 fragrances that were made in collaboration with perfumers Valerie Garnuch, Christophe Raynaud, Bernard Ellena, Ann Gottlieb, Alain Astori, Beatrice Piquet, Alexandra Kosinski, Richard Herpin, Annick Menardo and Olivier Pescheux.